In the public server game PSG #117 (r14508) I tested the timelapse patch by Roujin. It allows you to create screenshots automatically at a given interval. The screenshots can be converted to a movie with a program like mencoder. 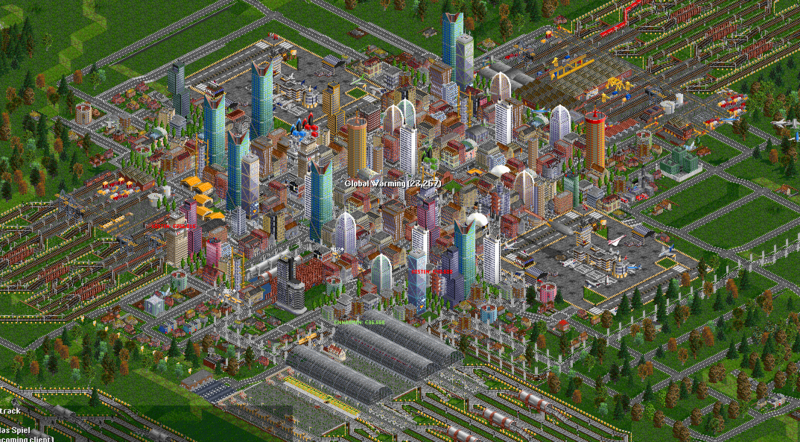 Previous posts, both here and in the tt-forums or even the OpenTTD wiki already spread the rumour that there might happen a second world wide OpenTTD gaming day. Finally the vote for a date has been closed and the decision is quite clear: the majority of people prefer 12th July as the date for wwottdgd, server will be open for joining from approx. 7am UTC (9am CEST) onwards.